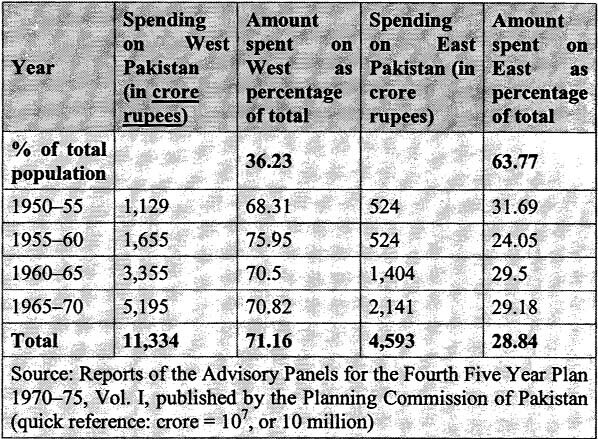 The emergence of Bangladesh was not the windfall of the 1971 Indo-Pakistan war, nor was it born overnight. It has a long history beginning in March 1940 and ended in December 1971 thanks to the farsighted leadership quality of Bangabandhu Sheikh Mujibur Rahman, among others. The historic Lahore Resolution adopted in 1940 incorporated those areas in which the Muslims were numerically in a majority as in the northwestern and the eastern zones of India to constitute 'Independent States' in which the constituent units would be autonomous and sovereign. The resolution clearly referred to an independent and sovereign State of Bengal in the eastern India. But afterward, the Muslim League leaders from Punjab began conspiracy against the Lahore Resolution and finally in April 1946 at the League's Delhi conference dropped the letter 's' from the word 'States'. In truth, it was the reflection of the West Pakistan Muslim League leaders' colonial frame of mind. It was dearly deviation from the principles of the Lahore Resolution An 10-member committee by a 7-3 majority took the decision. Abul Hashim, Muslim League representative from Bengal, strongly protested and said, the Muslim majority eastern zone and the Muslim majority northwestern zone cannot constitute one State because they are separated from each other by over 1000 miles. The same year the Muslim League won 113 seats out of 119 in the Bengal Provincial Legislative election. Krishak Proja Party of A K.Fazlul Huq won six seats only. In 1946, the Cabinet Mission suggested a federal type of government in India. The Indian provinces were recast into three zones. Zone 1 constituted Hindu majority United Province, Central Province, Bihar, Urissa, Madras and Bombay, Zone 11 included the Muslim majority Punjab, Sind, Beluchistan and North West Frontier Province, while Zone Ill had Bengal and Assam. This proposal also could not be workable. In view of all these, HS Suhrawardy, submitted a proposal in April 1947 for an independent and sovereign Bengal. Muslim League leader Abul Hashim and Forward Bloc leader Sarat Bose gave all out support to the plan. But the Indian National Congress directly opposed the plan, while the All-India Muslim League leader M.A.Jinnah said, "We have no objection if the Congress agreed." In fact, it was Jinnah's political tricks. However, Sarat Bose returning from Delhi in a statement blamed Congress for failure of the plan (Ref: Ausham apto Atmajiboni by Sheikh Mujibur Rahman). Pakistan came into being in August 1947. But the central government exposed their colonial approach towards East Bengal right from the beginning. M.A Jinnah strongly advocated for Urdu as the State language of Pakistan which the people of East Bengal never expected. 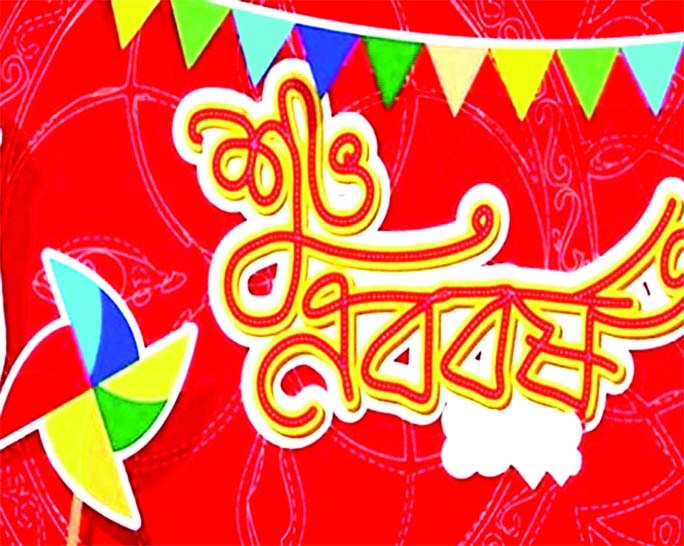 Tamaddun Majlish, a socio-cultural organisation, began to create public opinion in favour of Bengali. The Majlish and the East Pakistan Muslim Students League in a joint meeting declared March 11, 1948 as 'Bhasha Dibosh'. The programme was successful, marking the emergence of a sovereign state in East Bengal. Pakistan Awami Muslim League was formed in 1949 with Maulana Abdul Hamid Khan Bhasani as President, Shamsul Haque as Secretary and Sheikh Mujibur Rahman as Joint Secretary. This party later under the leadership of Bangabandhu Sheikh Mujibur Rahman guided the nation to independence. Swadhin BangIa Nucleus Cell was formed in 1962 with Sirajul Alam Khan, Kazi Aref Ahmad and Abdur Razzaq. They believed that the independence of Bangladesh was possible only through armed revolution. The cell's slogan was "Bir Bangali Ostro Dhoro Bangladesh Swadhin koro" (Courageous Bengalis! Take up arms and make Bangladesh independent). 1. Pakistan shall be a federal State according to the minutes of the Lahore Resolution, with Parliamentary form of the government. All elections are to be held on the basis of the adult franchise, with sovereign power in the hands of the Legislature. 2. The central government shall look after the foreign affairs and the defence only, while the regional governments will take care of all other ministries. 3. There shall be two separate but easily exchangeable currencies, or two reserve banks in case of single currency, keeping a provision in the Constitution, banning flight of capital from East Pakistan to West Pakistan. 4. All powers to fix and collect taxes shall be in the hands of the regional governments. The regional governments will deposit a part of the revenues in the federal account. In this context, there shall be a provision in the Constitution, bindings on the regional governments. The deposited amount shall be treated as federal government's assets to meet its expenditures. 5. There shall be two separate foreign currency accounts under the control of the regional governments, which will equally deposit a part in the federal account, as per provision incorporated or to be incorporated in the Constitution. The regional governments will have power to send economic, commerce and trade delegations abroad with power to sign agrrements with any country of the world. " 6. There shall be a militia force equipped with modern and sophisticated arms in East Pakistan. Sheikh Mujib said, I have placed Six Points in the interest of farmers, workers and exploited classes of the country. The Six Points are Charter of economic freedom only. It is not against the national integrity, but to save the exploited class. Alarmed by Sheikh Mujib's popularity, the government filed a case called the Agartala Conspiracy case implicating 34 people, including Sheikh Mujibur Rahman and Lieutenant Commander Moazzem Hossain of Pakistan Navy. The students community's 11 points movement, the mass uprising on February 24, the killing of Sergeant Zahurul Haque of Pakistan Army in Dhaka Cantonment and Dr Shamsuzzoha, Reader of Rajshahi University in Rajshahi, the proclamation of Martial Law in 1969, the General Election 1970 and the landslide victory of Awami League changed the course of history. Amid debate whether to take part in the general election under Legal Framework Ordinance (LFO) in December 1970, Sheikh Mujibur Rahman decided to contest and won 167 seats out of 300 in the National Assembly and 288 out of 300 in the Provincial Assembly. President Yahya Khan congratulated Sheikh Mujibur Rahman saying Mr Prime Minister. But in Pakistan, everything did not work in accordance with the wishes of the people. The civil and the military bureaucrats, the bourgeoisie, the rightwing reactionary, the ultra left and the fanatics rallied round Z.A.Bhutto, Chairman of Pakistan People's Party, which captured 88 seats in the National Assembly. Bhutto threatened of collapsing West Pakistan from Khyber to Karachi if President Yahya Khan remained firm to hold the National Assembly session. President Yahya Khan postponed the National Assembly session scheduled for March 2, 1971 citing security reason. 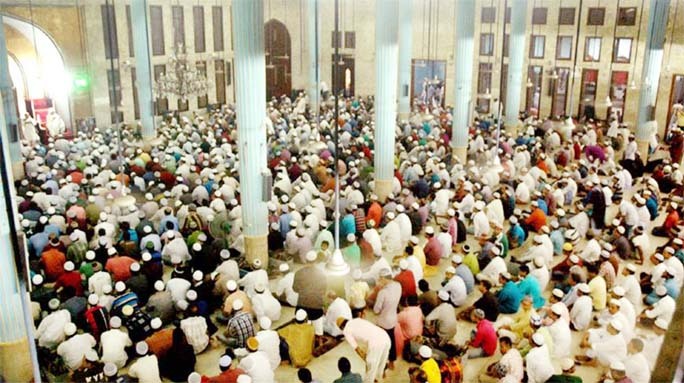 In this situation, Shiekh Mujibur Rahman called for the nationwide hartal on March 3 and onwards and said that he would address the nation on March 7. 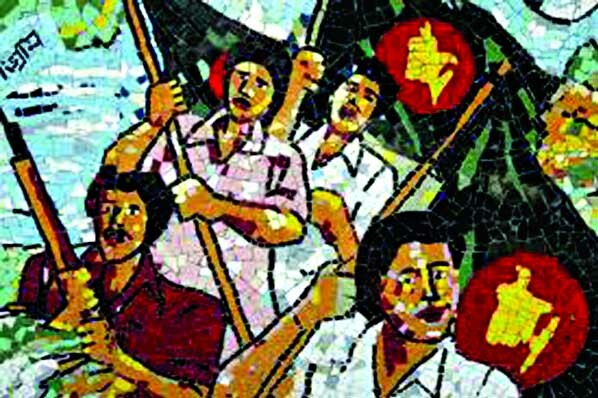 Instantly the people of East Pakistan rose in protest and raised slogans: Songhotir Mathay Lathi Maro, Bangladesh Swadhin koro (Smash the root of solidarity and make Bangladesh an independent country). Shahjahan Siraj, General Secretary of East Pakistan Students League read out the 'Manifesto of Independence' on March 2 on the Dhaka University campus. 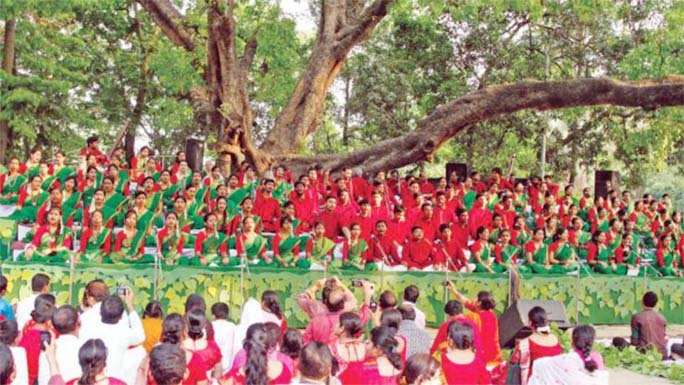 The following day, the then DUCSU VP ASM Abdur Rab hoisted the flag of Bangladesh at the same venue in presence of thousands of students. Addressing a mammoth rally on March 7 in 1971 in Dhaka, Sheikh Mujibur Rahman called for independence of East Pakistan (henceforth Bangladesh). In truth, the 7th March speech was the guideline of our freedom and henceforth the day should be recognised as the 'Independence Day' or at least the 'Bangladesh Day'. From this day, Bangladesh was a de facto sovereign and independent country and Sheikh Mujibur Rahman was the Administrator. 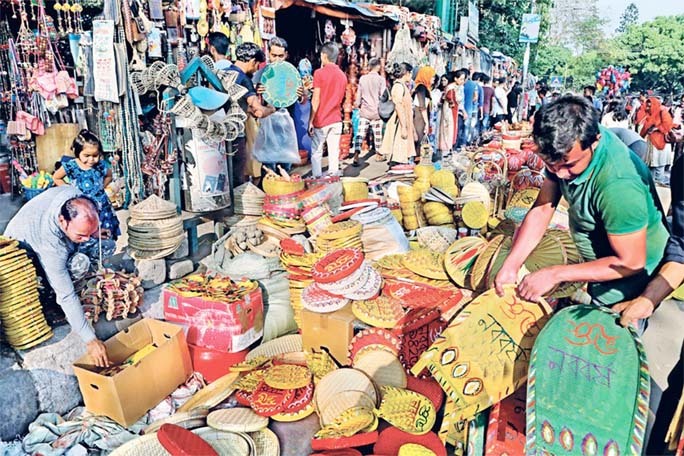 The Army crack down began on the night of March 26, but faced strong resistance from the East Bengal Regiment (EBR), the East Pakistan Rifles (EPR) and the East Pakistan Police (EPP). Rajarbagh Police Lines and the EPR headquarters at Peelkhana were the first targets. Although the Pakistan Government arrested Sheikh Mujibur Rahman from his Dhanmandi residence on the night of March 26, he was present in the heart of every man and woman of this land, and his March 7 speech was the guideline of War for Independence of Bangladesh. On April 17, the Bangladesh government was formed at Mujibnagar with Sheikh Mujibur Rahman as President, Syed Nazrul Islam as Acting President and Tajuddin Ahmad as Prime Minister. The three other members of the council of ministers were Captain Mansur Ali, Khondoker Mushtaque and AHM Qumruzzaman. The country was also divided into nine sectors under military officers in order to carry on war for independence of Bangladesh. The sector commanders were Major Ziaur Rahman (later President of Bangladesh) and Major Rafiqul Islam of Sector-I, Major Khaled Mosharraf of Sector-2, Major Shafiullah of Sector-3, Major C.R.Dutta of Sector-4, Major Mir Swakat Ali of Secrtor-5, Major AK.M. Nazmul Haque of Sector-6, Major Abu Osman of Sector-7, Major M.A Jalil of Sector-8 and Major Abu Taher of Sector-9. Besides, Major Ziaur Rahman, Major Khaled Mosharraf and Major Shafiullah had three special brigades. Tangail's Abdul Kader Siddiqui also constituted a guerilla unit to fight. Sheikh Majibur Rahman was out and out nationalist, as was Dr. Ahmad Soekarno of Indonesia and Dr. San Yat Sen of China. But he transformed the War of Independence into People's war. That was his rare success.